MOSCOW, February 11. /TASS/. 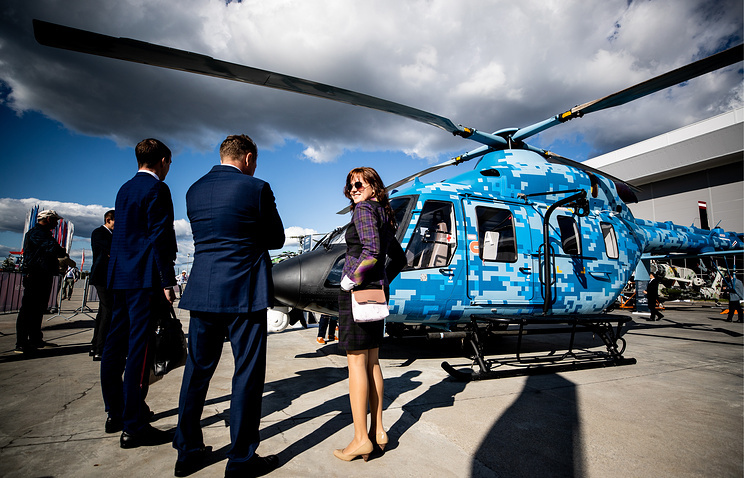 Russian Helicopters rotorcraft manufacturer plans to feature the Ansat light multipurpose helicopter at the Le Bourget air show near Paris, Company CEO Andrei Boginsky said on Monday. "We will demonstrate the Ansat both on the static display and in the flight program at Le Bourget this year," the chief executive said. At the previous two Le Bourget air shows, Russia did not feature any full-size models. The Le Bourget exhibition held near Paris every two years is one of the world’s largest air shows. This year, it will run on June 17-23. 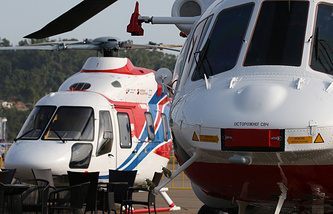 The Ansat light multipurpose helicopter is serial-produced at the Kazan Helicopter Enterprise. The chopper can develop a speed of up to 275 km/h and fly to a distance of over 500 km. The helicopter’s design allows transforming it both into the cargo and passenger versions with the possibility to transport up to seven persons.